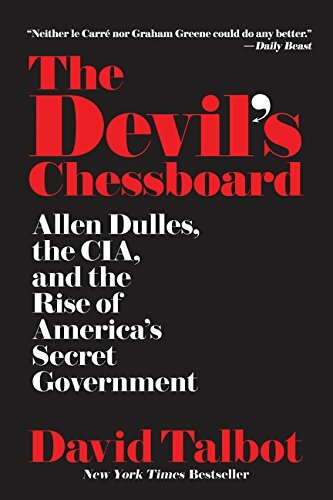 Who Brought the World to the Brink of World War III? Who has the major responsibility for creating the confrontation between the U.S. and Russia in Syria? How have these two major nuclear powers moved closer and closer to the brink of World War III? At the moment, one clear way to resolve this clash is for Syria’s armed forces to win an unambiguous victory over the forces seeking to overturn the existing government. Bloody as it may be, the defeat of the rebel forces will defuse the military portion of the conflict between the U.S. and Russia, at least within Syria. Russia, invited by Assad to aid him militarily, has been following that path. Obama has haltingly and unevenly been following a different but also effective path, which is that the U.S. pull back from the brink, that it stop calling for Assad’s resignation, and that it not directly become involved in attacking Syrian forces. 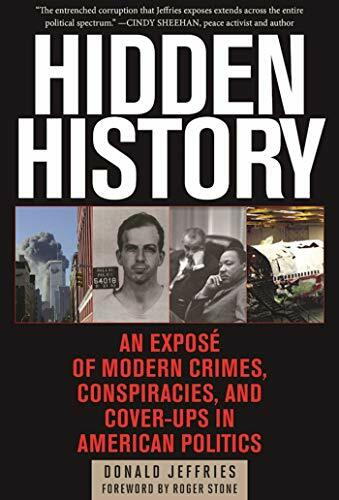 Hidden History: An Exp... Donald Jeffries Best Price: $12.98 Buy New $18.99 (as of 08:45 EDT - Details) However, loud and aggressive voices within his administration and within the U.S. government urge greater U.S. military involvement. Hillary Clinton is counted more in this camp than not with her call for a no-fly zone in part of Syria if not all. Only 3 months remain before she is inaugurated and moves the U.S. closer to the brink. She’ll end Obama’s direction and reverse it. She’ll attempt to make Putin back down. She’ll heighten the chance of World War III. This is why the bloody path of an Assad victory or, failing that, a consolidation of gains or a clear upper hand throughout most of Syria is actually a step toward avoiding World War III. Even Obama himself in his remaining few months might opt to raise the stakes and bomb Syrian airport runways or take other military measures that bring American and Russian forces into more or less direct conflict. Such a shift in Obama’s position remains a clear and present danger. The fact that discussion of such options is occurring at high levels of his administration and that extremist U.S. military officers are making loud and threatening noises about war and Russia makes it a danger. I am not expert enough on Russian politics and foreign policy relations with Syria and nearby regional countries to comment on how Russia may have contributed to the current situation, but I can comment on what the U.S. has done. On the U.S. side, we got here starting with Bush’s aggression against Iraq. We got here more recently because Obama engaged the U.S. in Syria. He should have stayed out of it and prevented so-called U.S. allies from getting involved too, but he didn’t. Obama caved into Turkey, Saudi Arabia, and other Gulf states, allowing them to import non-Syrian rebels into Syria and arming them. These states have their own reasons for wanting to reduce Syria to nothingness, but the U.S. has an interest in not being dragged into Syria and not allowing the mistaken, petty, fearful and aggrandizing desires of these states to bring the world to the brink of World War III. Obama mistakenly called for Assad to leave. Obama mistakenly drew a chemical weapons red line, with direct U.S. bombing of Syrian forces and infrastructure only being averted through Putin’s disarmament intervention. Obama, apparently seeking to silence critics and support rebels, followed up by inserting the CIA and special forces into the region and Syria. He followed up with failed programs to find and train moderate rebels. Politically, Obama has not been able to defuse the warmongers in both parties or marginalize them or place them on the defensive. They still are in positions of power and influence in Washington. So, if you ask me who has been responsible for bringing the world to the brink of World War III, I will say that the set of those responsible in recent years certainly includes Obama. It surely goes back to Bush and can be taken back further than that if we want to. I’d add that the U.S. helped instigate the Syrian uprising and that it has a long history of attempting to control Syria; also that the U.S. has imposed very severe sanctions on Syria. The leadership of Turkey and Saudi Arabia bear a heavy responsibility. Russia in the context of how states behave seems to be acting more responsibly and defensively. It didn’t launch any aggressions in the region. It didn’t support any. It was invited into Syria. It didn’t fund or support outside rebels. Its diplomacy with respect to the countries in the region is beyond my scope of knowledge. Kerry’s approaches are failures in defusing the situation. He’s prolonged the war and looked for ways to succor and rearm the rebels. He’s played for time to defeat Assad, which has been his overriding goal. The U.S. story line that Assad must be defeated before terrorism can be defeated in utterly wrong; it’s false and phony. What is needed to pull back from the brink is to pressure the countries that are supporting the non-Syrian rebels and the extremist rebels within Syria: Turkey, Saudi Arabia, and the Gulf states. The American forces need to be withdrawn entirely. They’ve not wanted anyway, and they’re not contributing to the village by village peace efforts of Assad anyway. The U.S. has to pressure these states to stop messing with Syria altogether and if that means public pressure and fissures, that needs to be done. That’s a prime way to defuse the potential conflict between the U.S. and Russia. Hillary Clinton’s agenda on Syria, the one she has articulated to date, is entirely wrong. It confronts Russia. It does nothing to move both these powers back from the brink of World War III. The Syrian situation is extremely serious. It will not be resolved via Clinton’s stated policies. She will quickly order a review. She’ll be presented with a number of military options that basically continue and elevate what Obama began. Some escalation of U.S. commitment is likely. That increases the danger of confronting Russian air defenses directly. This is a result, a grave danger, for which there is no apparent offsetting gain. If it sets Assad back or impedes his victory, that will only lengthen the war. If World War III is averted, he and the Russians and the Iranians and Hezbollah can find other means to continue the fight. The U.S. has no ready-made pro-American puppet government waiting in the wings that’re capable of holding the country together anyway. What’s the real gain to America anyway by attempting to remake Syria? Why not Syrian government of the Syrians, by the Syrians and for the Syrians? It’s a lot better than attempted U.S. hegemony and a lot better than World War III. Is Hillary Being Pumped-Up by Dr. Feelgood?